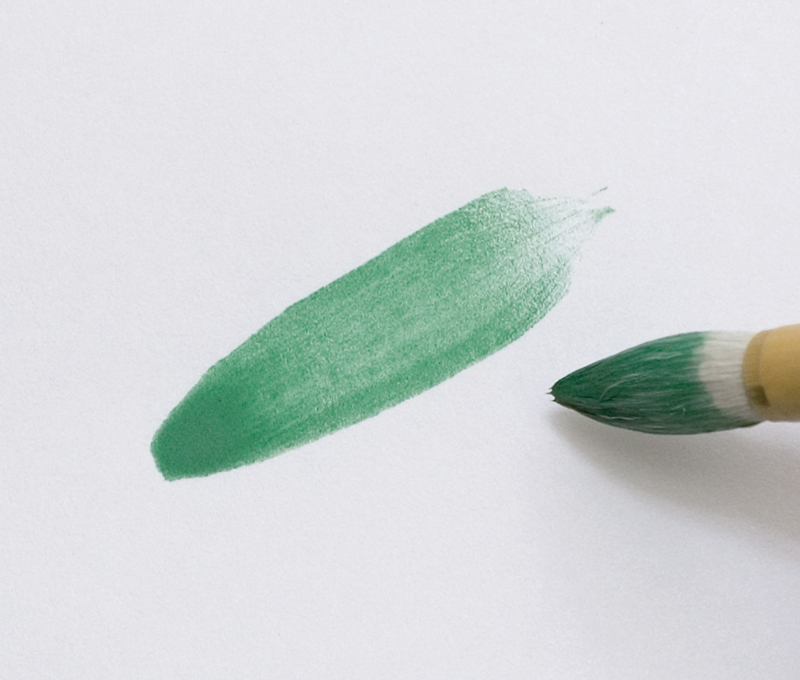 Coloring brushes in Japanese art are round painting brushes capable of full-textured pigmenting. Artists can use them freely for purposes ranging from applying delicate colors to making bold strokes on wide surfaces. They are thus widely used in a variety of fields, including watercolor painting and design. 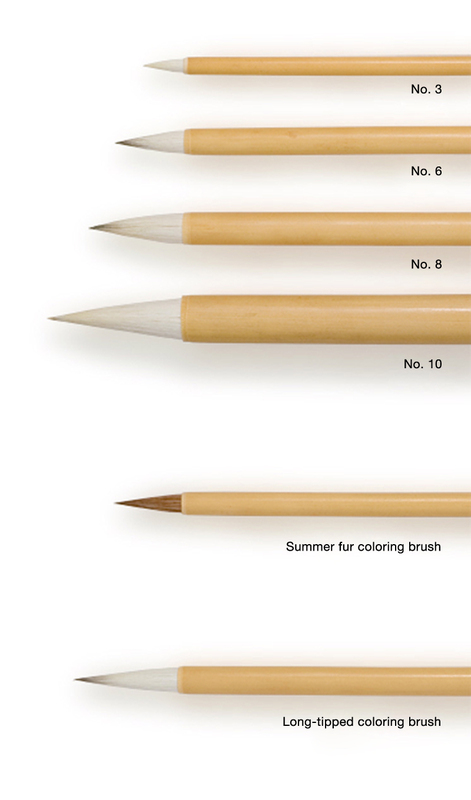 Coloring brushes can have various types of tips. The upper hairs of a typical coloring brush are covered with wool, allowing for good palette overtones, and have wicks made from raccoon fur, thick ferret fur, deer summer fur, or other animal furs. Typically, goat wools are used for coloring brushes, and those produced locally in the southern regions of China are particularly high quality. The hair ends of these brushes are smooth and marked by high-quality, moist overtones. “Summer fur coloring brushes” have brown upper hairs made from the summer fur of deer and horses. The summer furs of deer are known to make highly effective brush tips due to the fur’s relative hardness and roughness. The production output of deer fur is currently scarce, however, so horse fur is often used instead. In addition, there are brushes such as the “long-tipped coloring brush,” which has a long tip comparing to the thickness of axel and creates moist overtones. When shopping for a good brush, be sure to choose one whose tip bristles are in complete uniformity, as this will reduce the chances of the tips splitting in the middle of painting. Moreover, another thing to look for is whether the brush allows Indian ink (sumi) and paint to rub off on the painting surface without stopping midway. After using the brush, wash it in cool or lukewarm water and then remove the excess moisture. Lay it out on a dry towel and dry it in a well-ventilated place that is not exposed to direct sunlight. When drying, you should not put the brush in to a brush stand, nor set the tip upward in a standing position. The moisture may accumulate at the base and cause damage to the brush. Coloring brushes are available for purchase at art supply stores that carry Japanese painting materials and other general art supply stores.